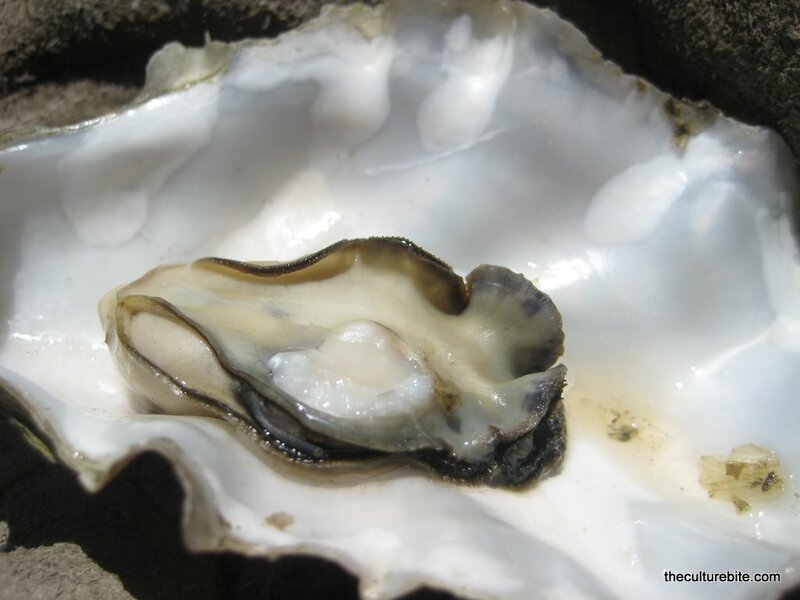 Earlier this month, K and I (with 20 of our friends) kicked off our summer with a “daycation” in Tomales Bay consisting of hiking and oyster-eating. What’s great about the Bay Area is that there are a ton of daycation possibilities an hour or two from the city. All you need to do is pack up a picnic basket and drive. Two hours north of the city lies Tomales Bay in Point Reyes State Park. This area is best known for its oyster farms, one of which is the famous Hog Island Oyster Co. Both have the same business concept – purchase your oysters and enjoy them at a picnic table overlooking a lackluster bay view. 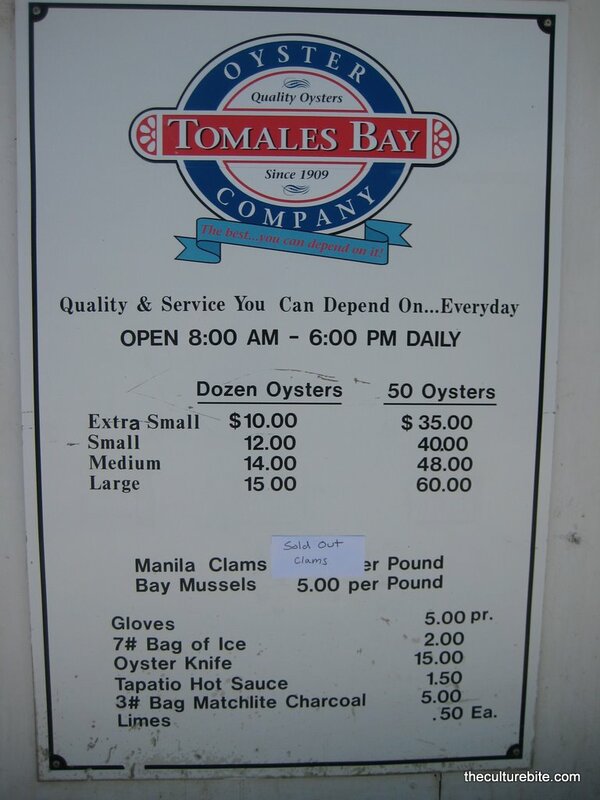 The biggest deciding factor in which we chose Tomales Bay Oyster Co. over Hog Island is that tables are free, whereas HIOC charges $10 per person. Another thing to note is that HIOC does provide you with shucking knives, utensils, sauce, and TBOC does not. We started the daycation off with a failed attempt to hike on the Jepson Trail in the Tomales Bay Park ($8 entrance fee. And yes, the guys went hiking with beer.). About 20 minutes into the hike, we decided the path was way too overgrown to continue and went to grab tables at the oyster farm 30 min away. 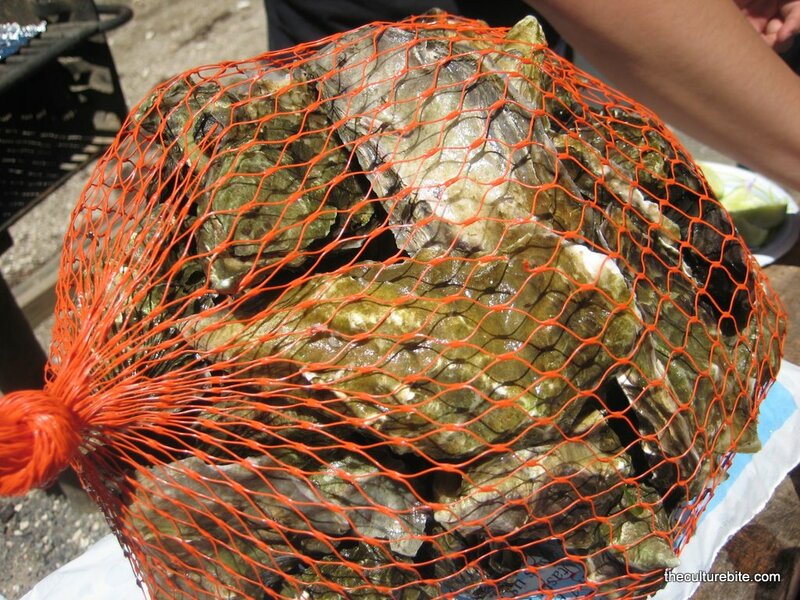 We instantly dug into some fresh oysters. I admit, I am no oyster fan, but I couldn’t put these down! They were juicy, briney, sweet and succulent. A hit of Tobasco and a squeeze of lemon, and you’ll be in oyster heaven. I want to say we had about 120 oysters between 20 people. The prices vary between sizes, but we stuck with the smalls at $10 for a bag of 12 or $40 for a bag of 50. For non-oyster eaters, they also sell clams and mussels. I was planning on making a clam bake, but the clams were sold out by 12 noon. Scattered around the picnic tables are BBQ pits for customers to use. Our group brought tons of other foods to cook on the grills including hamburgers, sausages and kalbi ribs. 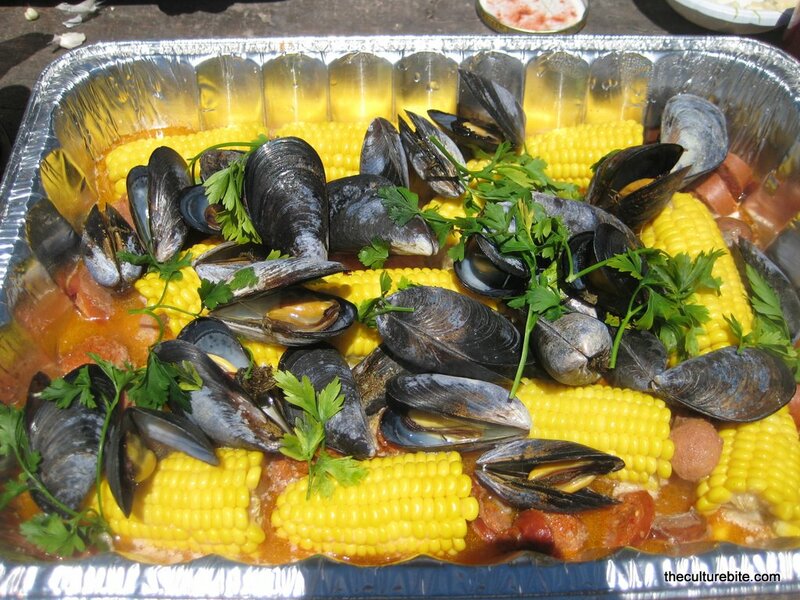 K even got creative and made a mussel bake with butter, beer, corn and sausages. Try throwing some oysters on the grill. It’s amazing how different they taste from their raw form. It has less of an oceany flavor with more of a smoky undertone. I was way too full to do this, but I’d suggest stopping by Cowgirl Creamery on the way back into the city. They really do make the best cheese in the Bay Area. So next time you have a free weekend this summer, drive up to Tomales Bay with a few of your friends and have a nice picnic out in the sun. Speaking of sun, I got incredibly sunburned that day and now I’m branded with a big “x” on my back from my razorback tank.